Microsoft has begun slowly releasing the postponed Windows 10 October 2018 Update once again to the general public, having put in place additional “signals” that will allow users to flag instances where data loss might occur. Not everyone will receive the Windows 10 October 2018 Update, a minor release which was scheduled to begin shipping 2 October. Since then, 5.9 million people have downloaded it, according to Microsoft. Microsoft will roll out the update, also known as version 1809, very slowly to its remaining customers. Users will first have to request the update and meet the hardware requirements and check for application compatibility. Even then, only about one per cent of users will initially receive it, Microsoft said. The remaining PCs will be updated over the following weeks and months. "We will offer the October Update to users via Windows Update when data shows your device is ready and will have a great experience," John Cable, director of program management, Windows servicing and delivery, wrote in a blog post. The rollout of the October 2018 Update was halted after reports surfaced that files were being accidentally overwritten as part of a feature called Known Folder Redirection, or KFR. Microsoft later re-released the update to members of its Insider program for testing. Microsoft suffered a separate, unrelated Windows 10 activation bug on November 8. On Tuesday, the company said all of the bugs have since been fixed. Microsoft acknowledged a series of mistakes that occurred during the testing process leading up to the October 2018 Update. Users had, in fact, discovered the bugs that contributed to data loss months earlier, and reported them via the Windows Feedback Hub application. The problem was that the low volume of reports was accidentally conflated with a second, unrelated bug: When Windows let users log into a temporary profile that looked very similar to a normal Windows desktop, Windows didn’t always make their existing files available until the user rebooted. The way in which this bug was described would occur a few times per week or maybe 10 times per month, Microsoft said, about the same frequency as the KFR bug. When Microsoft began releasing the October 2018 Update, the company received 23 pieces of feedback and 20 pieces of support data describing the bug. That doesn't sound like much, especially out of 5.9 million downloads. However, when you consider that the entire installed base of Windows 10 users is about 700 million, even a small bug could make many thousands of users very unhappy. As Microsoft said on 9 October, the company has added a special “slider” within the Feedback Hub, the app by which users can report bugs and request features. That slider will be used to report the severity of bug. A category saying something like “My files are missing” will be added to prevent similar bugs from occurring in the future. Finally, Microsoft also plans to add a Windows status update and will provide regular updates on the Windows 10 update history page. Microsoft has also changed the way it tests for bugs. In 2013, Microsoft shifted the responsibility for functional testing from a separate test engineering team to the development teams themselves, as a part of an effort to maintain quality control. While Microsoft maintains that it performs more tests than ever before, the company plans a series of blog posts over time detailing that testing and explaining how it plans to evolve those testing procedures in the future. The first of these posts was published in conjunction with the announcement of the re-release of the October 2018 Update. Michael Fortin, the corporate vice president of Windows, explained how Microsoft tests: through in-house, automated tests; aggressive self-hosting of Windows builds by Microsoft employees; work with external testing labs for application compatibility, hardware and peripherals; and both ISVs and hardware partners. "During development and stabilisation of an update, we use all our engagement programs to identify and fix issues that often only emerge in real life settings," Fortin wrote. "We also continue automated and manual testing, as do our partners across the ecosystem. "We compare quality to previous flights and releases based on all the feedback tools available to us including Feedback Hub and social media. When we are confident in the user update experience, we begin to cautiously release a feature update to our customers." During that rollout process, Fortin added, the company attempts to use both automated telemetry, social media, as well as the Feedback Hub to identify problems. In certain cases, Microsoft will identify a certain group of users with a "bad experience," and block similar machines from the update until it's resolved. Microsoft claimed that the April 2018 Update was among the best Windows releases ever. That's due to two metrics, Fortin wrote: the decreased volume of support calls and chats, indicative of fewer customer problems; and what's called a Net Promoter Score, where users are asked to rate their Windows experiences. The April Update received the highest Net Promoter Ranking of any version of Windows 10, he said. Critical bugs or not, Microsoft believes that Windows has become more stable over time. What Microsoft hasn't done, Fortin admitted, was to be more open about how it tests, and what it's doing to protect users. That will change, he promised. "While we do see positive trends, we also hear clearly the voices of our users who are facing frustrating issues, and we pledge to do more," Fortin wrote. "We will up our effort to improve our ability to prevent issues and our ability to respond quickly and openly when issues do arise." What this means for you: Microsoft's response is twofold: First, the company needs to do a better job of communicating with its customers; and second, the system worked—well, sort of. Insiders did their job in reporting the KFR bugs, but Microsoft failed to pick up on them. The company hopes the new Feedback Hub tools will alleviate the latter problem. 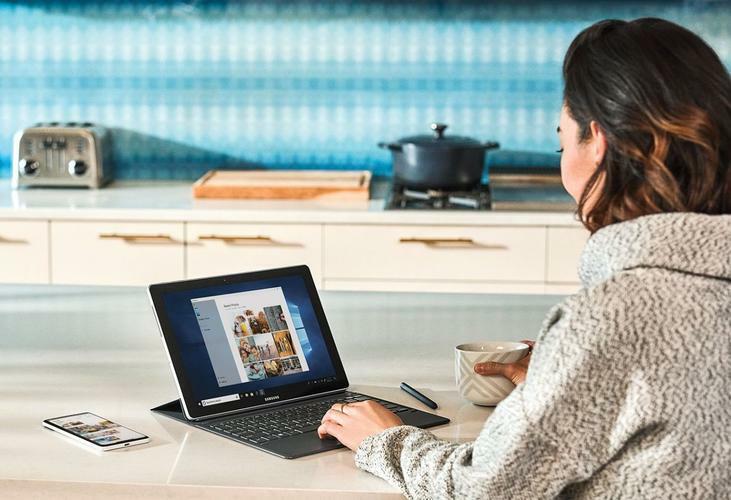 Ironically, The Windows 10 October 2018 Update was supposed to be a yawner, with unexciting improvements and minor new features. The bugs and delays mean it will forever have an asterisk attached.